Our hygienists are trained to treat and prevent gum disease and dental decay. They will focus on ensuring that your gums are healthy and, most importantly, advise you on how to take correct care of your teeth and gums at home. You will be shown how to brush and floss effectively, and get advice on diet and a home care programme to suit your lifestyle. Our hygienists are a key element to our preventive approach to dentistry and we encourage the majority of our patients to make active use of them. In the surgery your teeth are scaled and polished to remove the hard calculus which builds up on the tooth surface. The teeth are scaled using manual and ultrasonic instruments and then polished to leave them smooth and shiny. In some cases a bicarbonate spraying technique is used to polish the teeth. 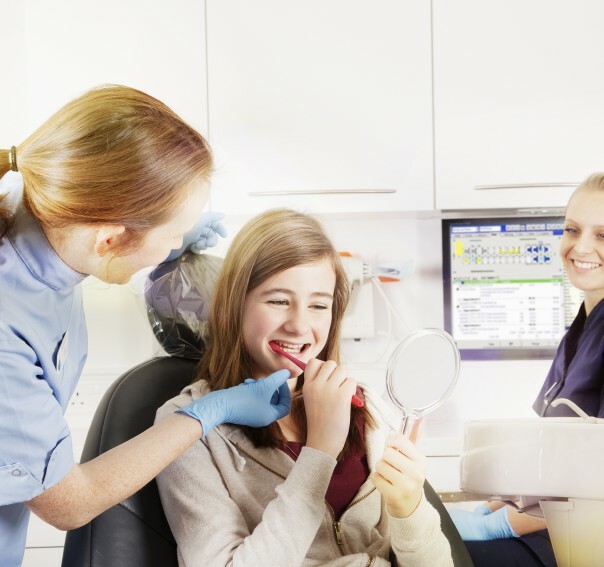 The hygienist will then demonstrate any additional brushing or cleaning techniques that may be appropriate for your teeth eg use of interdental brushes or dental floss. Your dentist will advise you how frequently you should visit the hygienist.